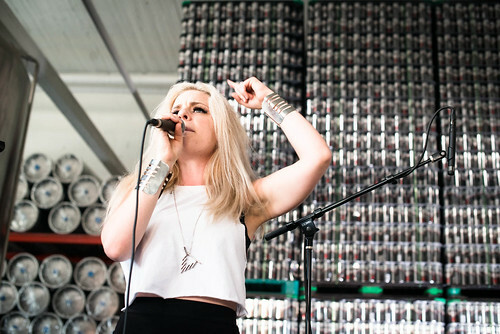 Katie Kate stormed Hilliard's Beer Taproom with a performance so stunning, even the children attending were floored. Alongside a live drummer and beat-maker, Katie Kate showed everyone in the audience what she was truly made of. Even if hard beats and surprising rhyme aren't your cup of tea, there's something totally inspiring about watching a hard-working, young, female artist move swiftly into Seattle's typically male-dominated rap and production scene. So, watch the footage from KEXP's live recording, and discover for yourself what this important, emergent voice in Northwest hip-hop has to say. Check out the rest of her performance on our blog, and download her song "Rushmore" from our Song of the Day Podcast. One-Day Summer Drive: Why Do YOU Power KEXP? It's On! The 9th Annual Hood-to-Hood Challenge Starts NOW! Seattle is an amazing city—and the whole world knows it. The Seahawks won last year’s Super Bowl, Nirvana was just inducted into the Rock and Roll Hall of Fame, and we made national headlines by raising the minimum wage to $15/hour.